Washington: Wonder Woman has drawn all kinds of controversy over gender politics since its release last Friday, but it has also put the spotlight on Jewish debates over race and nationality. The star of the film, Gal Gadot, who speaks English with an Israeli accent, has become an Israeli star and generated buzz both here and abroad. In 2014, Gadot posted on Facebook support of the Israeli army's actions in Gaza while lighting candles with her daughter and writing "Shabbat Shalom," the common greeting Jews say to one another on the Sabbath. Gadot, whose grandfather survived Auschwitz, was born and raised in Rosh Haayin in Israel and was Miss Israel at age 18. In an interview with ABC, Gadot joked that being pregnant as Wonder Woman (she did some shoots when she was five months pregnant) was harder than being in the Israeli army. 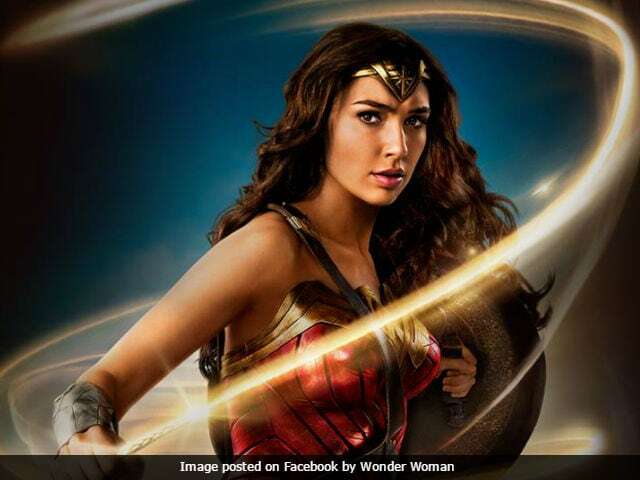 Gadot's role in the film, which grossed $103.3 million domestically and $228.3 million worldwide in its debut, has also resurfaced a debate this week among American Jews over race. In a piece at comicbook.com, Matthew Mueller argued that Gal Gadot was the first woman of color to appear in the superhero genre. "Gal Gadot is not actually Caucasian, but is in fact Israeli," Mueller wrote. Looking white doesn't mean you are white, Mueller writes, pointing to a column this year from the Times of Israel that said, "conceptualizing Jews as either 'white' or just a religion,' as many of our detractors are wont to do, helps to perpetuate a culture of antisemitism on the anti-racist left." "Gal Gadot's Wonder Woman Is White - Let's Not Pretend Otherwise." "Are Gal Gadot And Other Ashkenazi Jews White? The Answer Is Complicated . . . And Insidious." "Why Do White People Get Mad When We Call 'Wonder Woman' White?" There is a historic range of Jewish subgroups, including Ashkenazi, Sephardi, Mizrahi, Ethiopian and more, which raises the question, "So, is Gal Gadot white?" asks Joel Finkelstein in The Forward. "Is she North African/Middle Eastern and Israeli and Jewish and European and white? Is she all six of these things? Or perhaps something else? Who decides whether Jews are white, and what forces guide those decisions? The ambiguity of Jewish ethnicity serves as a perverse weapon in hands hostile to Jewish identity." Mark Tseng-Putterman, who is Asian American and Jewish, says the argument that all Jews are people of color by default is out of touch with race in North America, where race was constructed as an outgrowth of slavery and genocide. "In the context of American institutions that produce race (namely slavery and genocide), European Jews were firmly positioned as white and were able to systematically benefit from these institutions," he said. Arguing that Jews are a "race" and a non-white race, he said, threatens to ignore the racial diversity within the Jewish community. "Those making claims about Jewish genetics also fail to grasp that 'race' is not a biological category but one socially constructed by political and legal institutions," Tseng-Putterman said. When European Jews began to immigrate to the U.S., they were legally considered white while they were barred from activity in U.S. public life. Over time, they assimilated but the question over race is complicated, Emma Green wrote for the Atlantic late last year. "Jews think about questions of race in their own lives with incredible diversity," Green wrote. "There are many different kinds of Jews: Orthodox, secular, Reform; Jews by birth, Jews by choice, Jews by conversion. Some Jews who aren't particularly religious may identify as white, but others may feel that their Jewishness is specifically linked to their ethnic inheritance." Gadot's identity has been noted across Jewish press, including the Jewish Journal, which examined the Jewish essence of her character. "It isn't just a triumph for women that the new savior of the world is female; it is a triumph for the Jews," Danielle Berrin wrote. Although the film is set during World War I, she noted the character's origins fighting Nazis in World War II. Fighting Hitler, Berrin wrote, is in the character's DNA. Gadot defies some of the stereotypes of women, especially as many Jewish women were portrayed in film as unattractive or the funny sidekick, said Emily Shire, politics editor at Bustle. "It's a landmark film for women for so many reasons, and this takes it to another level," Shire said. "There is a history of Jews making movies and Jews loving movies, but who was on screen?" Wonder Woman follows a long line of Jewish ties to comic book characters. Many superheroes were created by Jews, according to Haaretz, including Superman, Captain America, Batman, Spider-Man, The Hulk, the Fantastic Four, Ironman, the X-Men, Thor and the Avengers. Since daily newspapers in the 1930s would not accept illustrations by Jews, Haaretz reports, many Jews found a home in comic book publishing. "Could Gal Gadot become the biggest Israeli superstar ever?" the Jewish Telegraphic Agency asked, noting that actress Natalie Portman was born in Israel but left at age 2. Gadot has talked openly about her love of Israeli characteristics. "In Israel, people have chutzpah," she said in a Marie Claire cover story. "People take issue with it, but I'd rather have that than play games. Here, everyone's like, 'We love you; you're so wonderful.' I prefer to know the truth, not waste time." About 70 percent of American Jews say they are emotionally very attached to Israel, according to the Pew Research Center. However, older Jews are more likely than younger Jews to see caring about Israel as an essential part of what being Jewish means to them. More than half of Jews 65 and older say caring about Israel is essential for their Jewish identity, while 32 percent of Jewish adults under 30 say the same thing. While they share a Jewish identity, American Jews and Israeli Jews have many cultural differences, said Dan Lainer-Vos, a sociology professor at University of California, Los Angeles, who is Israeli. "American Jews integrate themselves remarkably successfully and they don't think of themselves as a separate tribe that is somehow chosen," he said. Israelis are perceived to be tougher or "macho" because they have a mandatory military service. "Israeli women have an element of being exotic," he said. "There's a reverence or admiration toward them." People will politicize anything connected to Israel, said Deborah Lauter, Anti-Defamation League's senior vice president of policy and programs, but the timing of the film comes during the anniversary of Israel's 6-day war, which tripled the land under Israeli control. "Anti-Semites will exploit a current event like this," she said. "They latch onto the popular trend and try to gain legitimacy by talking about it." Some people who want to support the film were conflicted because of Gadot's casting, Amal Matan wrote on Medium's NerdyPOC blog. Gadot raised the issue of "intersectionality," which refers to a call for diversity and inclusion when working for human rights. Intersectionality focuses on how overlapping identities, such as race, class, ethnicity, religion and sexual orientation impact the way people face discrimination. "So where does that leave Wonder Woman fans, intersectional feminists and those in solidarity with the Palestinian struggle?" Matan said. "As the world will see the movie, there will be a solid chunk of individuals who will choose not to support Gal Gadot." The film comes just months after the Women's March highlighted issues related to human rights and put feminism under the spotlight. Tension between supporters of Israel and the Women's March surfaced after one of the movement's co-chairs Linda Sarsour, who is a Palestinian activist, argued that feminists could not also be pro-Israel. "It just doesn't make any sense for someone to say, 'Is there room for people who support the state of Israel and do not criticize it in the movement?'" Sarsour told The Nation. "There can't be in feminism. You either stand up for the rights of all women, including Palestinians, or none. There's just no way around it." Wonder Woman resurfaced debates over Jews and intersectionality, said Yair Rosenberg, senior writer for Tablet Magazine. Jews have been the only white people white supremacists target, but Jews are seen as white privileged and part of the problem, he said. "Everyone who has preconceived views about Israelis will project them onto the film," he said. "People will use this to hang their hat on certain issues."